50,000 students took to the streets today to protest the dramatic cuts in higher education and increasing tuition fees. 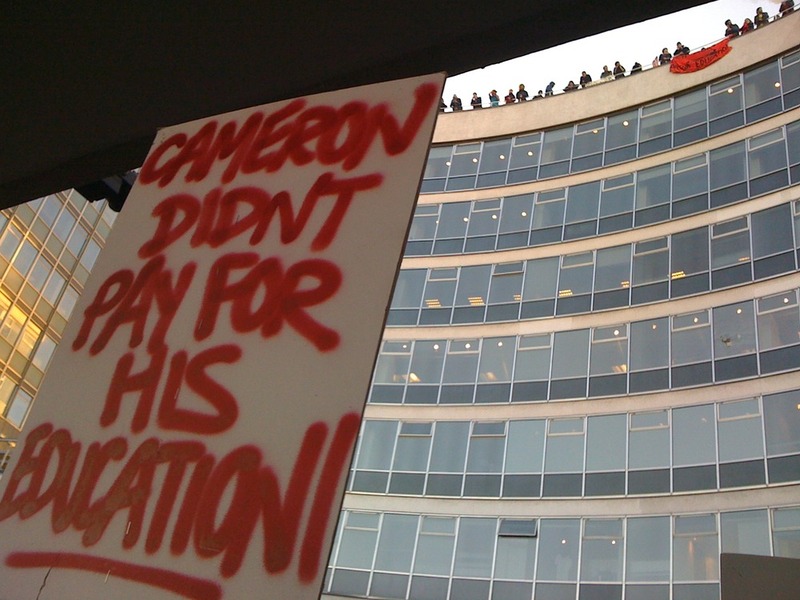 While most did not invade Tory HQ, several hundred stormed the towerblock in Millbank. These students did us all a service. The cuts to the public sector and education are an assault on the poor and middle classes in this country – as well as the environment. The student protesters are especially admirable as they will not likely to have to pay the increased fees, which come in after 2012 – it will be those who are slightly younger who will suffer. The financial industry must be held accountable for the financial and now the social crisis it created. Corporations must pay their taxes. Hopefully these young people will inspire others who are more directly effected by the cuts to stand up to this assault on public services and the environment. *Violence can’t be dealt against property, only people*.